Last month, the UK Parliament held an in-depth hearing with representatives from the Sun, Daily Mail, Daily Express and Daily Mirror, as part of its ongoing inquiry into “Hate Crime and its violent consequences”. During the discussion, the new Daily Express editor made an unprecedented admission that the newspaper had in the past fuelled “Islamophobic sentiment” – and committed to making changes. In the same session, the Sun’s Managing Editor, Paul Clarkson, apologised for a notorious 2015 article in which a columnist likened migrants to “cockroaches” and a “plague of feral humans”. The column had drawn widespread condemnation, with the United Nations High Commissioner for Human Rights warning that “The Nazi media described people their masters wanted to eliminate as rats and cockroaches. This type of language is clearly inflammatory and unacceptable, especially in a national newspaper”. I do not think there is any defence for the language she used. We can cherish freedom of expression, but using language like “cockroaches” is certainly not appropriate and I apologise for that. By actually talking to these people face to face, we sometimes get a really good understanding of why they believe we are the bogeymen, and we get a great understanding of how they feel about our coverage. That has really brought us on a journey. Clarkson apologised for errors in some articles relating to Muslims, but told the Committee that he did not believe Islamophobia was an issue within the mainstream media – a comment which has been strongly challenged by Miqdaad Versi of the Muslim Council of Britain. At least the new editor-in-chief of the Daily Express recognised that many of the stories published in the paper prior to his arrival had contributed to an “Islamophobic sentiment” in the media, and that the Express’s front pages had sometimes been “downright offensive”. This attitude is to be welcomed. And the evidence to support his argument that a broader anti-Muslim attitude does exist is overwhelming. In the past year and a half, more than 40 stories on issues related to Islam and Muslims have been corrected in mainstream national newspapers following complaints I made. If inaccuracies of a similar type on the same subject every one or two weeks do not demonstrate that there is a serious issue here, it is unclear what would. 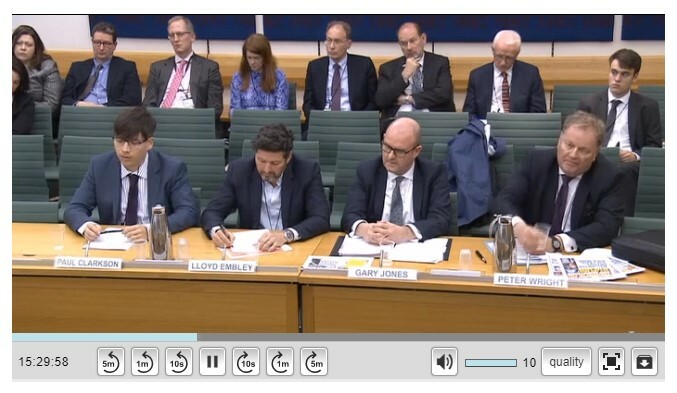 The full transcript of the Parliamentary hearing is available online – as is the video.